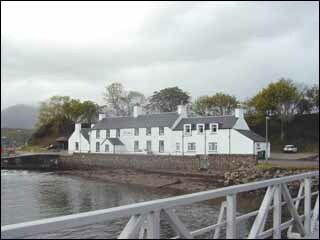 There has been an inn here for hundreds of years and like all Highland inns the welcome is warm and genuine. 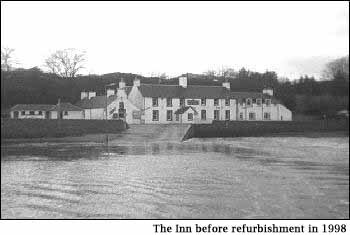 The oldest part of the inn is formed from the ferrymen's cottages built to replace those burned down by Hanoverian troopers from Fort William in 1746. Every bedroom of the Inn takes advantage of the spectacular mountain-framed view. From your bedroom window you can watch the Corran Ferry ply back and forth across Loch Linnhe with its half-hourly load of vehicles of every size and type. 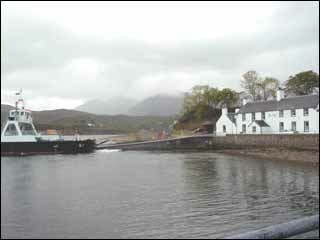 The whole length of the loch is in view as far as Corpach, the entrance to the great Caledonian Canal. The water traffic is facinatingly varied; small work boats servicing the local fish farm; local prawn boats; yachts from Scotland and Europe, cruise boats like Hebridean Princess or Scotland's last working paddle steamer Waverley. the endlessly changing scene is as interesting as it is beautiful. 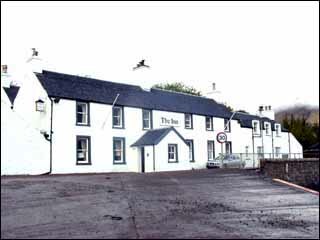 In the summer of 1999 The Scottish Tourist Board awarded three stars to The Inn at Ardgour making it one of the highest rated inns in The Highlands. 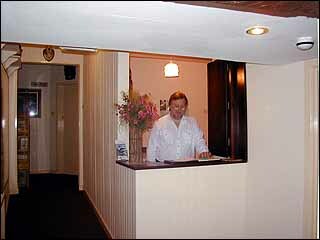 The STB praised in particular the excellent standard of decoration the welcome received by visitors to The Inn. The inn's menu and quality of food also attracted special mention, food service was described as excellent. Now overseas visitors to The Inn have voted it the Best in Britain. During the main summer season most of the inn's visitors are from overseas. Their travel company is always keen to obtain feedback on how their customers enjoy their holiday and, in particular, their accommodation. Every customer is invited to tell the travel company how they rank their accommodation, which was their favourite and why. 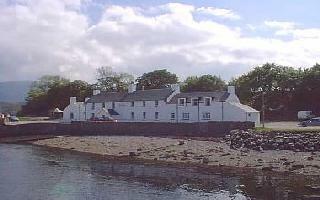 This year they chose The Inn at Ardgour from around four hundred inns around Britain as their favourite inn. Please click on an image to open an enlargened version of it in a new window.